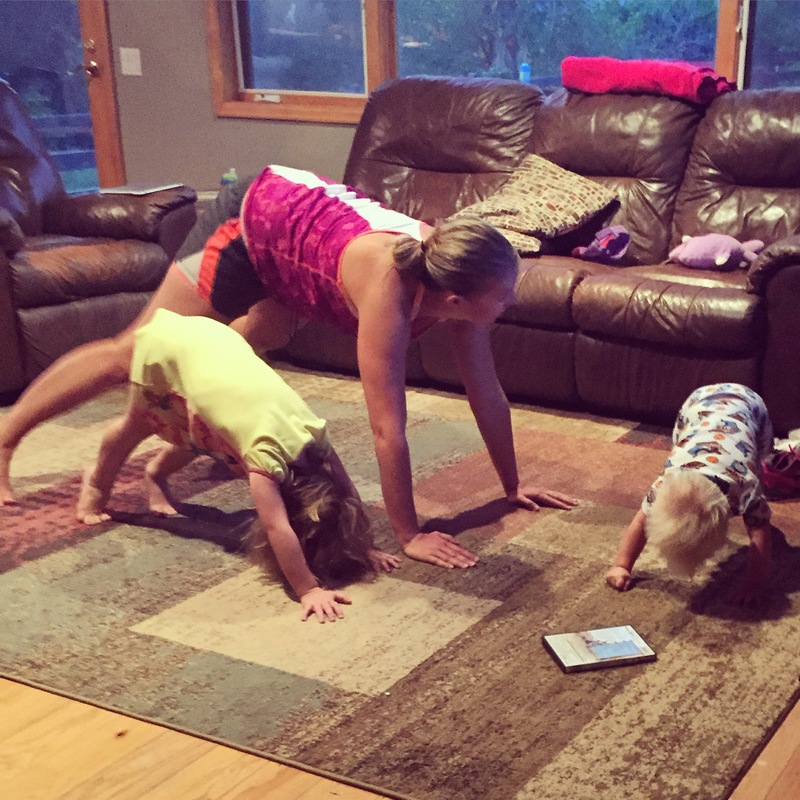 I am blown away by the response to my PiYo / Running Challenge that I am starting next Monday. Seriously. I posted about it on my blog & on Facebook last Tuesday, and 20 of you contacted me. Of those 20, 4 people are already signed up, and 5 more of you are signing up today. With me that puts us at 10 strong who will be in the private Facebook challenge group, and I truly believe we are going to ROCK THIS. If you’re still interested in learning more, shoot me an email at mycheapversionoftherapy (at) gmail (dot) com, and I can send you a quick blurb with all the details. We start next Monday and I want to make sure everyone who wants to participate gets all of their materials on time. I’m so excited to see how much stronger and healthier I can make my body in 8 short weeks – this is going to be awesome! Hahaha love the caption to this picture. Your kids have great form!! Love the picture! You sure have some cute work out partners. So awesome to hear about so many others jumping onboard with you! You definitely seem very motivated. I am sure you will see some great results! I assume this is a program for which one would need supplies sent out?? I just want a program where I can lose 10lbs and not have to run or do any intense exercise (and that doesn’t need mailed supplies). Does that exist?! 😉 Can I just continue doing no exercise, eating chips and drinking rum? No? Good luck!! You’ve got this!